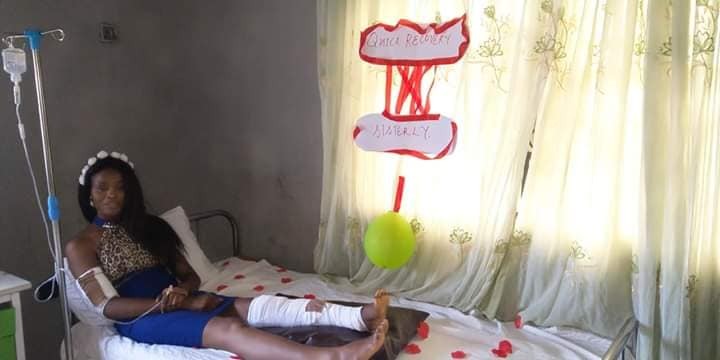 It was gathered that the soon-to-be bride identified as Blessing Onyeh, a graduate of Nnamdi Azikiwe University, Awka, Anambra State, was involved in a fatal accident in 2016 which affected her leg and right hand, resulting to some implantation. 2018 was the time for the removal of those implantation and her partner decided to surprise her in an unexpected way. 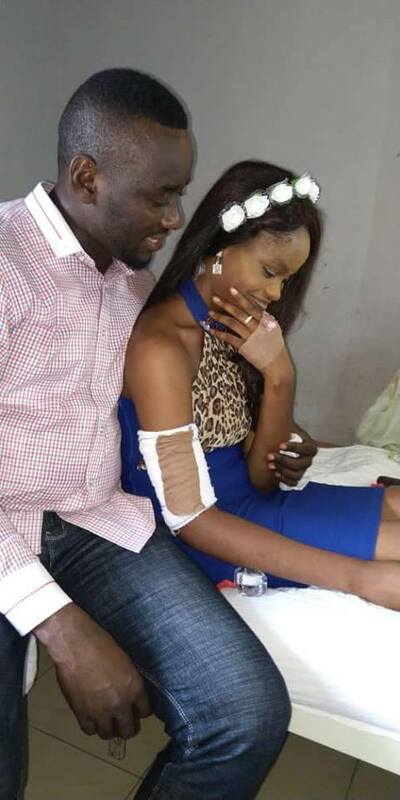 Without Blessing’s knowledge, her boyfriend identified as Onyedika Ifeanyi Francis stormed the hospital to propose to her after her friends had “deceived” her into thinking they were organizing a recovery party for her. 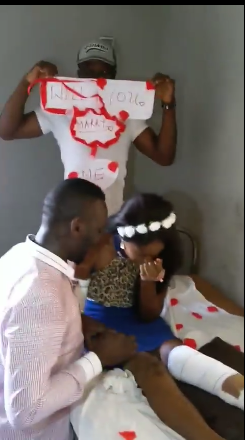 The lady broke down in tears after her man went on his knees to propose, and of course she said yes.